A PDF document with all of the information on these pages. 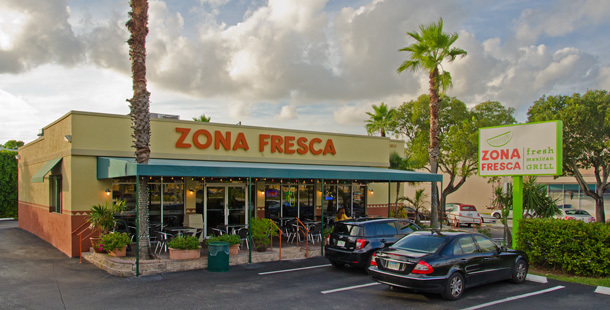 After you have filled out the Franchising Opportunity Form, a Zona Fresca representative will schedule a "Get Acquainted" telephone call. 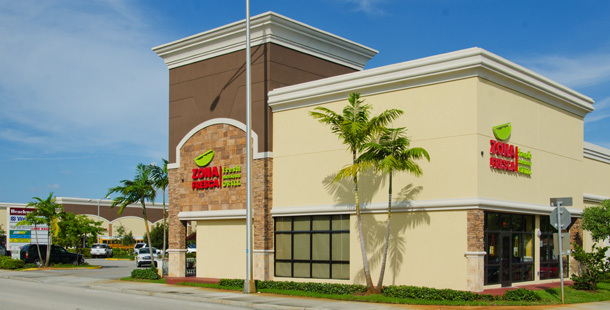 Based on our conversation � we mutually will determine if we would like to speak again so that we may provide you with additional information, including A) the concept difference for Zona Fresca, B) store operations, location, demographics, and C) leasing build-out and start-up costs. Following the initial phone call, we will schedule a concept compatibility call. This call will begin with a courtesy invitation for your spouse or supportive decision maker. During this 1-hour call, we will focus on the Zona Fresca core values and vision. Based on our conversation � we will determine if our core values align. If so, we will ask you to fill out a Request for Consideration application. Upon receipt of your completed application, our executive team will review the application and if acceptable, award you the opportunity to continue through our process. During this 1-hour teleconference call, our team will collaborate to deliver a complete overview of all marketing, training and support programs. Depending on the level of business expertise, some candidates will be scheduled to attend a start-up workshop conference call. D) How to protect your working capital In this workshop, our CEO will guide candidates through the initial franchise fee, how the landlord contributes to the buildout allowance and free rent, and discuss how to lease furniture, fixtures and equipment. Four to 15 days prior to attending Discovery Day, we will mail or email the Franchise Disclosure Document. After completing the Mutual Expectation call or Start-Up Workshop call, our candidate will be invited to attend a regional certified Discovery Day. This information is not intended as an offer to sell, or the solicitation of an offer to buy, a franchise. It is for information purposes only. If you are a resident of a U.S. state or a country, or wish to operate a franchise in a U.S. state or a country, that regulates franchises or business opportunities, we will not offer you a franchise until we have complied with any applicable pre-sale registration and disclosure requirements in your jurisdiction.